This picture clearly shows the power of Killer Whales. These mythical creatures can easily lift their bodies out of the water, sometimes they repeat this behavior 3 or even 4 times. Breaching is considered a social activity among members of a killer whale pod. This is one of my favourite killer whales pictures. 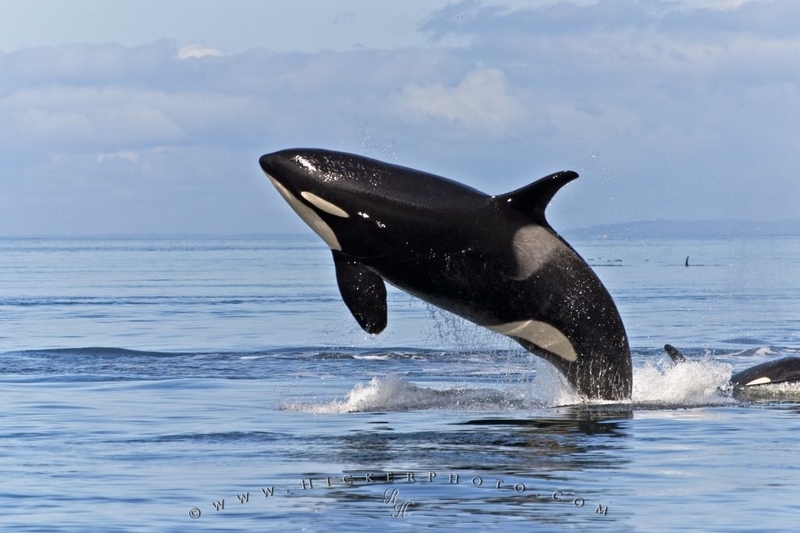 Please make sure to visit my full photo gallery of (Orca) Killer Whale pictures.